Garlic which is traditionally called rocambole or stinking rose is more than just a spicy and flavorful addition to your foods and dishes. It is also used as medicine to treat diseases and maintain health. 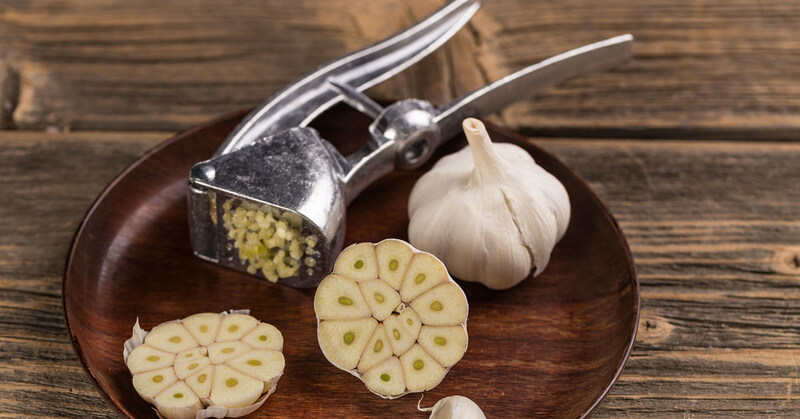 The potential health benefits of garlic is due to its natural components such as allicin, which has significant benefits for your cardiovascular system. Garlic also contains many important vitamins, nutrients, enzymes and amino acids. Why You Should Eat Raw Garlic? When you cook garlic, this prohibits the garlic’s ability to make allicin. Allicin is one of the important components of garlic that provides the most health benefits, which include cancer prevention. It is produced when the garlic enzyme alliinase is chewed or cut. Before eating the garlic, it is recommended to allow the crushed or garlic to be exposed to the air for at least 5-10 minutes, for the compounds to become fully activated. How to Add Garlic into Your Daily Diet? You can add the garlic into your meal or as an addition to smoothies and green juice. Eating raw garlic can lower your risk of developing several types of cancer, such as prostate, uterine, stomach and colo-rectal cancer. This is because of the ability of compounds in garlic to prevent cancer cells from dividing and cause them to die. Studies have shown that garlic consumption reduces blood levels of LDL or bad cholesterol and total cholesterol. Allicin and other compounds present in garlic, also act on the blood components and platelets involved in clot formation. This will lessen the risk of blood clots that can lead to stroke. Garlic contains strong antiviral properties. It can effectively treat infections and is highly effective in the prevention and treatment of the common cold. Though further studies are still being conducted, garlic is shown to have some benefits for bone health through the increase of estrogen levels in females.